On the air of the TV channel ZIK, Commissioner of the President of Ukraine for Crimean Tatar people Affairs Mustafa Dzhemilev told what amendments are being prepared for the Constitution of Ukraine on the Crimea issue. "The point is that this amorphous, incomprehensible Autonomous Republic of Crimea, which was absolutely illegally created in 1991, needs to be reformatted in accordance with the indigenous people's right to self-determination. Now amendments are being made to section X of the Constitution of Ukraine, as to the Autonomous Republic of Crimea. The working commission has almost completed its work, and it says that the basis of autonomy is the right of the indigenous people of Crimea to self-determination. This is the main thing,” Mustafa Dzhemilev stressed. The national leader of the Crimean Tatar people further noted that along with the state Ukrainian language, the language of the indigenous people of Crimea will also function. Other languages are not considered there, according to Mustafa Dzhemilev. “It says that, firstly, the Constitution of autonomy will be coordinated with the highest representative body of the Crimean Tatar people Qurultay. Still an unresolved question exists as to what this republic will be called - will it be republic or autonomy. Because in the parliament some factions are against the term "republic". They say that this leads to separatism... 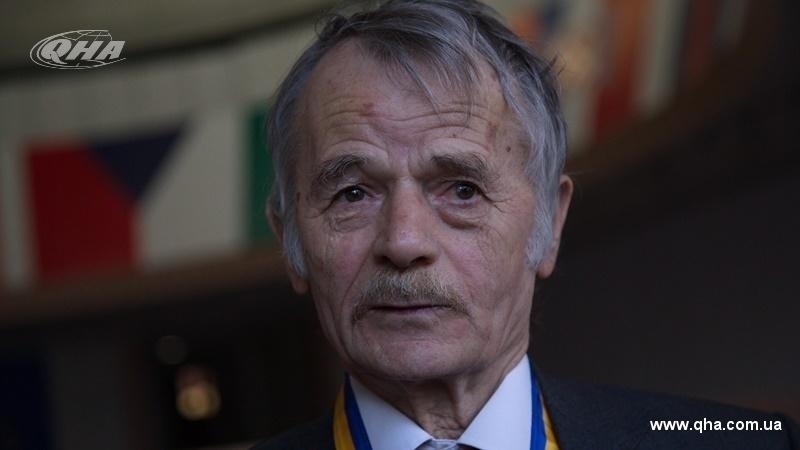 Therefore, either the term Crimea, or simply the Crimean Autonomy, will be preserved,” Mustafa Dzhemilev said. Answering the question whether the state helps the families of Crimean Tatar hostages and the hostages themselves, the leader of the Crimean Tatar people noted that the state can not release them, but stressed that in all international forums the President of Ukraine and the Head of the Ministry of Foreign Affairs constantly raise the issue of prisoners. “But another question is, what can they practically do?” Mustafa Dzhemilev said. QHA reported that the President of Ukraine Petro Poroshenko in his appeal on the occasion of the 100th anniversary of the First Qurultay of the Crimean Tatar people told about the work being carried out on the creation of the Crimean Tatar national autonomy.